Could extinct species, like mammoths and passenger pigeons, be brought back to life? The science says yes. 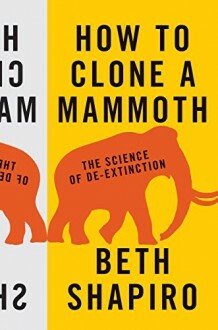 In How to Clone a Mammoth, Beth Shapiro, evolutionary biologist and pioneer in "ancient DNA" research, walks readers through the astonishing and controversial process of de-extinction. From deciding which species should be restored, to sequencing their genomes, to anticipating how revived populations might be overseen in the wild, Shapiro vividly explores the extraordinary cutting-edge science that is being used--today--to resurrect the past. Journeying to far-flung Siberian locales in search of ice age bones and delving into her own research--as well as those of fellow experts such as Svante Pääbo, George Church, and Craig Venter--Shapiro considers de-extinction's practical benefits and ethical challenges. Would de-extinction change the way we live? Is this really cloning? What are the costs and risks? And what is the ultimate goal? Using DNA collected from remains as a genetic blueprint, scientists aim to engineer extinct traits--traits that evolved by natural selection over thousands of years--into living organisms. But rather than viewing de-extinction as a way to restore one particular species, Shapiro argues that the overarching goal should be the revitalization and stabilization of contemporary ecosystems. For example, elephants with genes modified to express mammoth traits could expand into the Arctic, re-establishing lost productivity to the tundra ecosystem. Looking at the very real and compelling science behind an idea once seen as science fiction, How to Clone a Mammoth demonstrates how de-extinction will redefine conservation's future. http://Elentarri.booklikes.com Elentarri's Book Blog 4.0 How to Clone a Mammoth - Or Not? text How to Clone a Mammoth - Or Not?